In this chapter we'll focus on the last of these items: product sales. For more information on memberships, see the concessions and memberships chapter and for more information on vouchers, see the vouchers chapter. 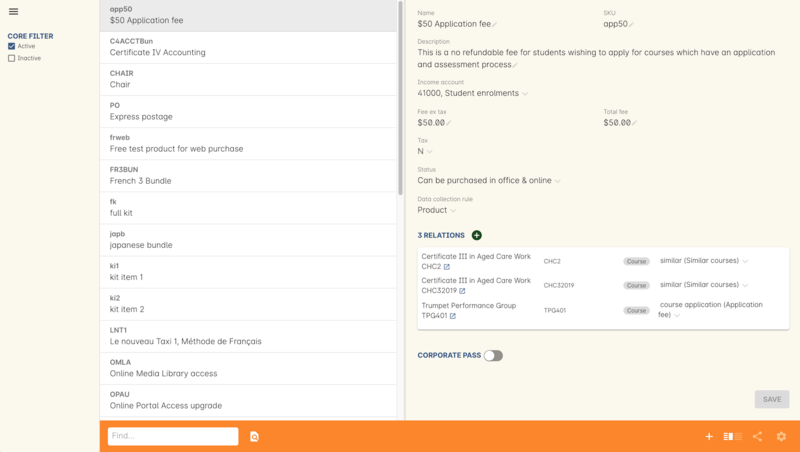 Products in onCourse are a simple way to supply additional, defined items during an enrolment sale. onCourse does not manage a stock inventory or the shipping of products. It is expected that most products will be supplied to the student in person when they attend the class. Name - allows you to name the product. Code - allows you to create a code for this product. Description - this allows you to include a description of the product in rich text, useful for the online marketing of the product. 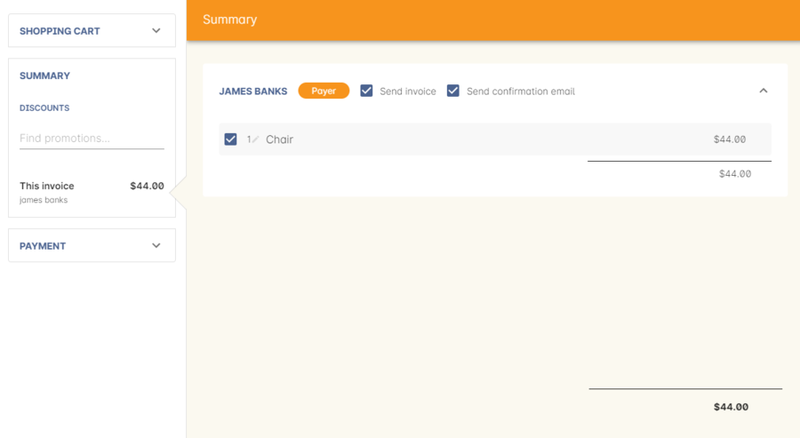 Income account - allows you to select what income account this is connected to. Status - you can choose whether this product can be either disabled; purchased in the office only; or purchased in the office as well as online. 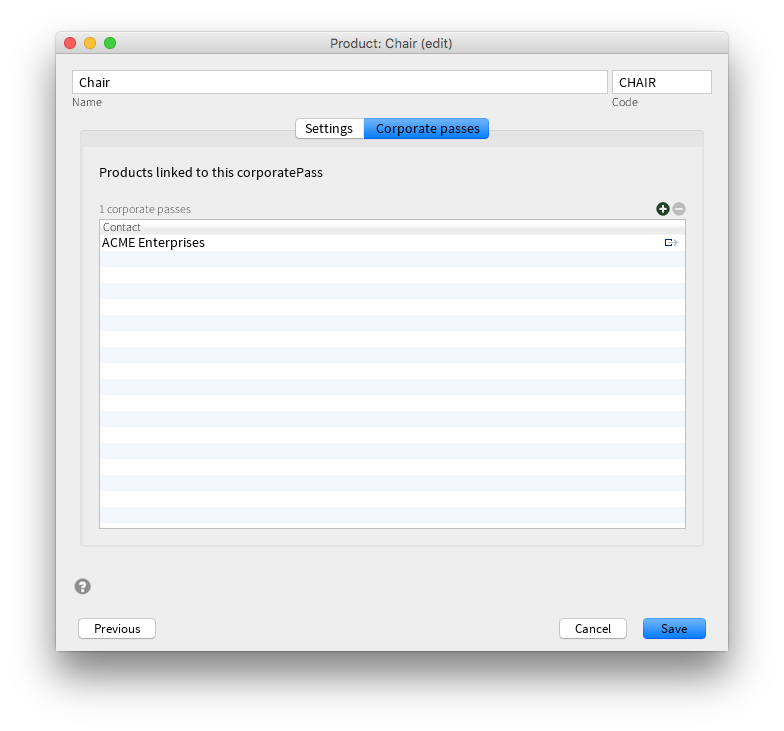 This feature allows you to link a number of Corporate Pass to products. You can find the list of Corporate Passes linked to the product by clicking on the Corporate Passes tab in the products edit view. Products can be related to courses, for example, if there is a textbook you suggest purchasing a long with enrolling in the course. After you have created the product, open the course which you with to relate it to, on the Marketing tab. Click on the plus button + on the panel related courses/products to add a new product to the list. Search for the product by it's name or SKU and save. The product will then appear on the web and in Quick Enrol as a suggested related purchase during enrolment in a class from this course. A product can be purchased from Quick Enrol, either in conjunction with an enrolment or as a standalone purchase. 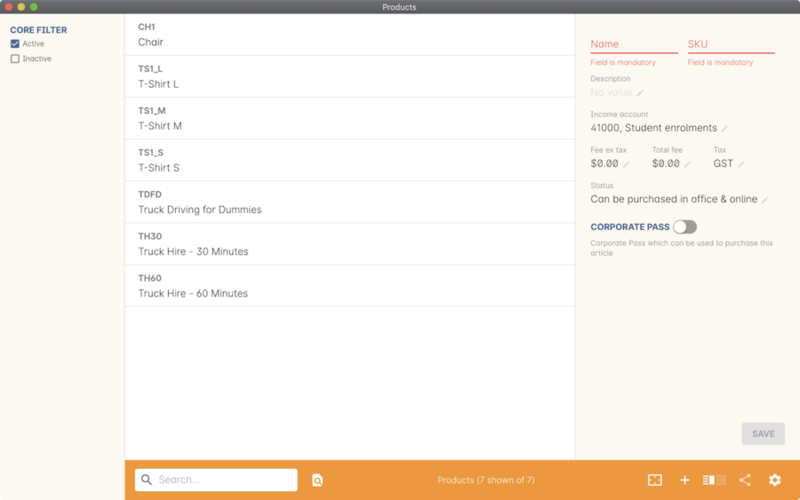 Products can be purchased by clicking on the field Enter course or item...' then you can either click on the 'Show all' button next to the word PRODUCTS on the right side of the page and select one of the products listed. 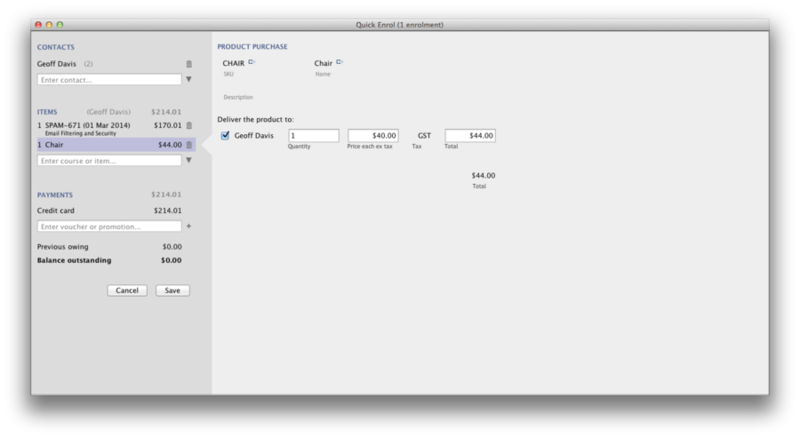 Alternatively you can start typing and the rest of the product record will be automatically filled. Once you have found the product you want to add you can choose who you want to supply it to, if there is more than one contact listed. Then you can specify how many products want to be bought and you have the option to change the price before or after GST if needed. If you change the 'Price each ex tax' field it will update the Total price to the correct amount, this will work in reverse also.